Reset service light indicator Mercedes CLK 500. From years: 2002, 2003, 2004. How to reset service light indicator Mercedes CLK 500 (209.375). From years: 2002, 2003. 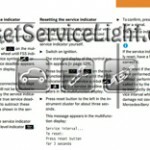 The full procedure how to reset service light indicator Mercedes CLK 500 (209.375) is taken owners manual. 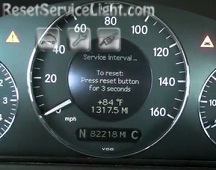 How do you reset service light indicator Mercedes CLK 500 (209.375). From year: 2004. 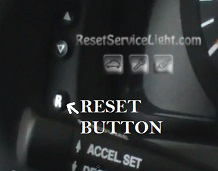 All information how to reset service light indicator Mercedes CLK 500 (209.375) is taken owners manual. 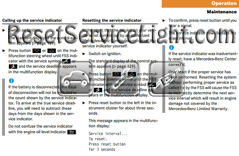 That it is the full procedure how to reset service light indicator Mercedes CLK 500. If you like to reset any maintenance oil light after an oil change. Or reset check engine light, airbag light, inspection key or insp errors when maint reqd, for Mercedes-Benz cars. 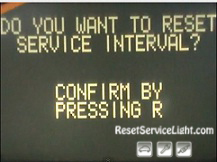 Or any warning light for service reminder which appears on the display. Write in the search box the car name for which you want to find information, and find how to reset other service reminders when by yourself. Hi, Very informative and helpful! Can you please add a “how to reset service light” indicator for the CLK500 year 2005, because it is different than above. Thanks! Resetting the maintenance service indicator on a MErcedes Benz CLK Coupes from 2005. In the event that the maintenance service on your vehicle is not carried out by an authorized Mercedes-Benz Center, you can have the maintenance service indicator reset. The automotive maintenance facility carrying out the maintenance service will find the infofmation for resetting the maintenance service indicator in the maintenance-relevant information for your vehicle. Such information is avaible from either your authorized Mercedes_benz Center or directly from Mercedes-Benz. If the maintenance service indicator was inadvertently reset, have an outhorized MErcedes-Benz Center correct it. Thank you very much for the information. I was able to reset my 2004 CLK 500 with no problems. How do I reset the SRS light on a 2005 CLK 500? The light came on after the battery was drained. Would like to reset it. I tried disconnecting the battery; disconnected it for an hour; then reconnected it. The SRS light was still on. Checked all the connectors under the seats; they all look good. Any advise on the next steps? Hello Gary, SRS light on your car can be reset with a special scanner tool. How to reset the 3rd brake lamp message? I replaced the assembly and it’s working fine. Hello Paul, I think you will need a special scanner tool to turn off the 3rd brake lamp indicator .